Matej Avbelj is an Associate Professor of European Law at the Graduate School of Government and European Studies, Slovenia. He graduated from Ljubljana Faculty of Law, obtained an LL.M at NYU School of Law and defended his PhD at the European University Institute. 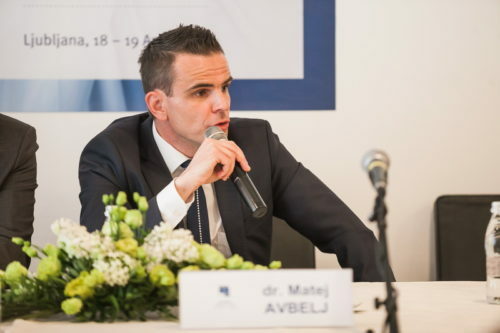 Dr. Avbelj has written extensively in the field of EU law, constitutional law and legal theory. As an active member of the academic community he has co-organized several successful research conferences, served as a member of editorial boards of various legal journals and participated in a number of professional associations. He has advised the Slovenian National Assembly on constitutional amendments and served on strategic boards of the Ministry of Justice and the Ministry of Foreign Affairs of the Republic of Slovenia. Dr. Avbelj is also active in various Slovenian civil society organizations.